The Palestinian Authority, which says Washington has abandoned its role as neutral arbiter in the 70-year-old conflict, withdrew its envoy from Washington. Turkey and Israel expelled each other's ambassadors. Palestinian protests on the Gaza-Israel border have dropped off over the past two days, amid reports that Egyptian officials intervened to restore calm after dozens of Palestinians were killed by Israeli gunfire. 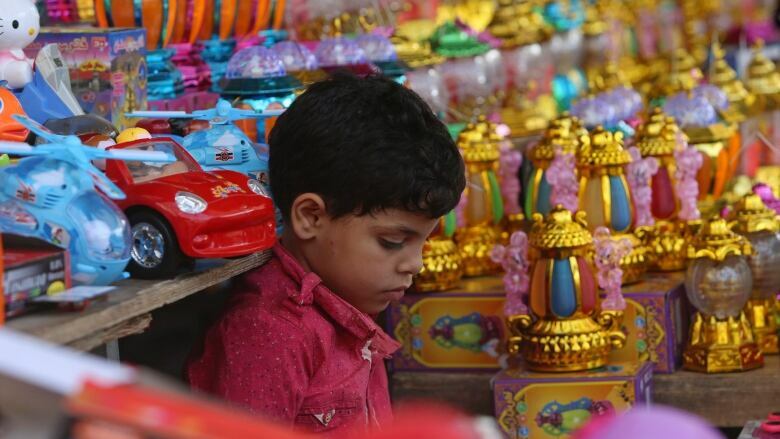 Gaza's dominant Islamist Hamas movement denied that it was under pressure from neighbouring Egypt to scale back the six-week-old demonstrations, and said they would continue, although fewer Palestinians are gathering in protest tents. Gaza medics said two Palestinians were shot dead during Tuesday's demonstrations along the 51-kilometre border. On Monday, 60 were killed in a far greater turnout on the day that the United States relocated its Israel embassy to Jerusalem. The bloodiest day for Palestinians in years has created a diplomatic crisis. The Palestinian Authority, which says Washington has abandoned its role as neutral arbiter in the 70-year-old conflict, withdrew its envoy from Washington. Turkey and Israel expelled each other's ambassadors. On Wednesday, the Palestinian Foreign Ministry announced the recall of its envoys in Romania, Hungary, Austria and the Czech Republic because those countries participated in the reception for the U.S. delegation that inaugurated the embassy. Pushing back against foreign censure of its army's actions, Israel has — with Washington's backing — accused Hamas of using civilians as cover for attacks across the frontier fence and to distract from Gaza's internal problems. Hamas denies this. Gaza analyst Akram Attallah, pointing to the smaller number of protesters since Monday's deaths, said: "I can see there is a retreat because of the Israeli bloody response … but Friday will represent an indicator to where things are going." Fridays normally see protesters turn out in larger numbers. Israeli Intelligence Minister Israel Katz said that an Egyptian intelligence chief, whom he did not name, "made unequivocally clear" to Haniyeh that Egypt would not help if Hamas continued to stoke the protests, and Israel responded with harsher measures. 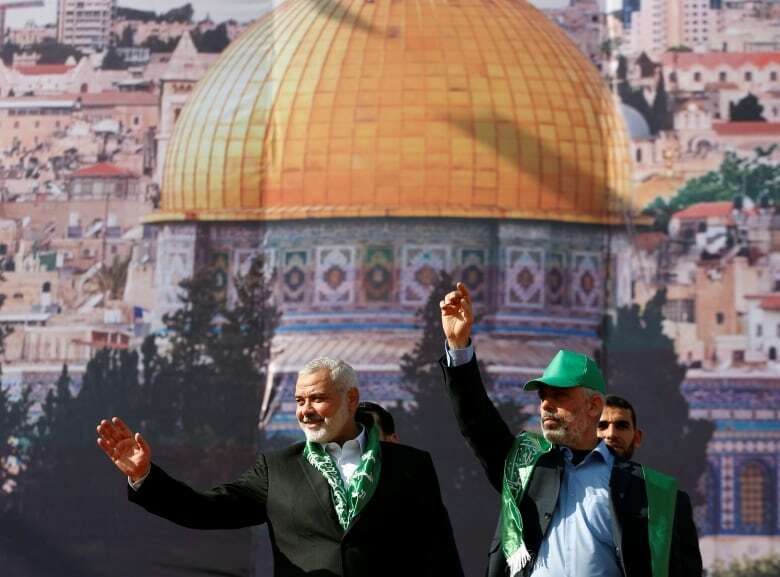 "Haniyeh returned to Gaza, Hamas gave an order … and miraculously, this spontaneous protest by a public that could not handle the situation any more dissipated," Katz told Israel Radio. There was no immediate response from Egypt to Katz's statements, and Hamas dismissed the Israeli claims as false. Hamas leader in Gaza Yehya Sinwar denied that Egypt put pressure on Hamas to end the protests and said that instead, Haniyeh discussed what Cairo could do to ease hardship in Gaza. "They were keen these marches do not slide into armed confrontations and we agree with the brothers in Egypt over that, Sinwar said in an interview on Al Jazeera television. Gaza has been controlled since 2007 by Hamas, an Islamist group that denies Israel's right to exist and has fought three wars with Israel in the past decade. Israel and Egypt, citing security concerns, maintain a de facto blockade on Gaza which has reduced its economy to a state of collapse. Two million people live in the narrow strip, most stateless descendants of refugees who fled or were driven out of homes during fighting between Jewish and Arab forces at the time of its founding. They suffer from what the World Bank says is one of the highest rates of unemployment on Earth, and say the blockade makes rebuilding impossible. Violence along the border was very limited on Wednesday and the Israeli army said a tank targeted two Hamas positions in the southern Gaza Strip after troops had been fired upon. There were no reports of casualties on either side. But the start on Thursday of the holy month of Ramadan, when Muslims abstain from eating and drinking during daylight hours, could limit the scale of demonstrations. The factions said the fasting would be taken into account but marches would continue through early June. Organizers say the Gaza protests are civilian actions, noting the absence of Israeli casualties, compared with 107 Palestinian dead and thousands of wounded. Israel disputes this and says some of those killed were firing at its troops. 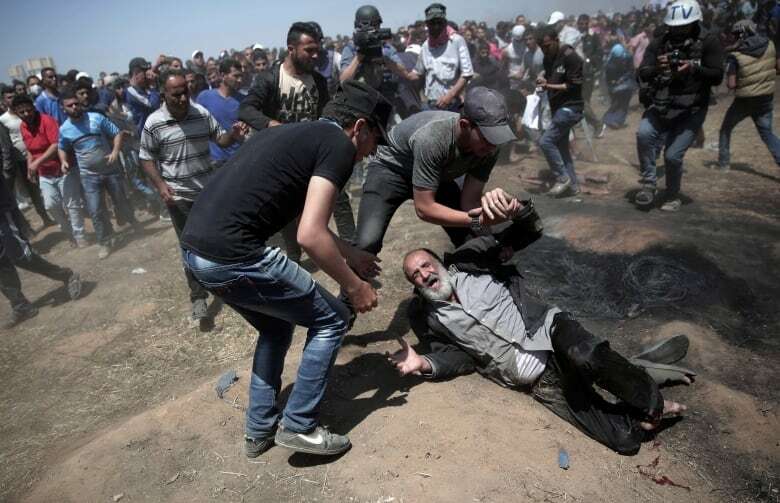 On Wednesday, Bardaweel, the Hamas official in Gaza, told a Palestinian television channel that of the 62 people killed on Monday and Tuesday, "50 of them were from Hamas, and 12 from the people." Israeli officials quickly seized upon his remarks. "Take his word for it. This was no peaceful protest," Israeli military spokesperson Lt.-Col. Jonathan Conricus wrote on Twitter. 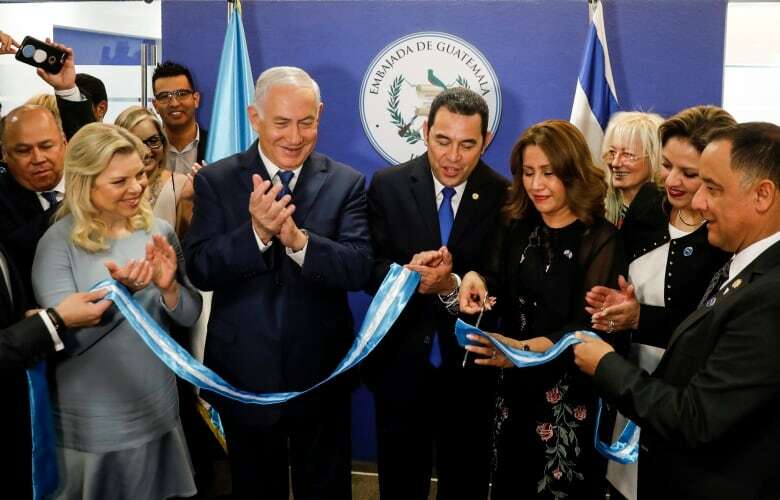 In Jerusalem, following the U.S. lead, Guatemala opened its embassy in the city on Wednesday. Paraguay is slated to do the same next week. Most countries keep their embassies in Tel Aviv, saying the status of the holy city should be decided in peace talks between Israel and Palestinians, which want to have their own capital there. Those talks have been stalled since 2014. Israel regards all of Jerusalem as its capital. Palestinians seek East Jerusalem as the capital of a state they want to establish in the West Bank and Gaza Strip.